An indelible portrait of one of the most famous and beloved authors in the canon of American literature—a collection of letters between Harper Lee and one of her closest friends that reveals the famously private writer as never before, in her own words. The violent racism of the American South drove Wayne Flynt away from his home state of Alabama, but the publication of To Kill a Mockingbird, Harper Lee’s classic novel about courage, community, and equality, inspired him to return in the early 1960s and craft a career documenting and teaching Alabama history. His writing resonated with many Alabamians, in particular three sisters: Louise, Alice, and Nelle Harper Lee. Beginning with their first meeting in 1983, a mutual respect and affection for the state’s history and literature matured into a deep friendship between two families who can trace their roots there back more than five generations. 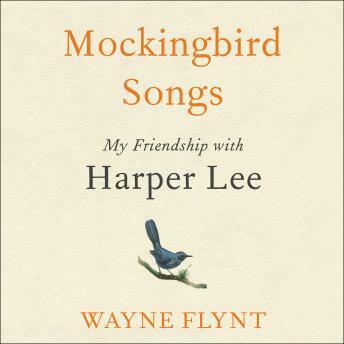 Flynt and Nelle Harper Lee began writing to one other while she was living in New York—heartfelt, insightful, and humorous letters in which they swapped stories, information, and opinions on topics both personal and professional: their families, books, Alabama history and social values, health concerns, and even their fears and accomplishments. Though their earliest missives began formally—'Dear Dr. Flynt'—as the years passed and their mutual admiration grew, their exchanges became more intimate and emotional, opening with 'Dear Friend' and closing with 'I love you, Nelle.' Through their enduring correspondence, the Lees and the Flynts became completely immersed in each other’s lives. Beautifully written, intelligent, and telling, this remarkable compendium of their letters—a correspondence that lasted for a quarter century, from 1992 until Harper Lee’s death in February 2016—offers an incisive and compelling look into the mind, heart, and work of one of the most beloved authors in modern literary history.